Are we really still questioning the merits of canned beer? In 2018? I guess we are, because I recently came across a comment on one of my Beer Of The Week columns informing me that the beer I was recommending must be total crap because it comes in a can, not a bottle. To that commenter: 2003 called and it wants its misinformed beer opinions back. Despite much evidence to the contrary, some people continue to believe that bottles are in and of themselves a sign of beer quality. It’s a misconception left over from decades ago when premium and “imported beer” brands—remember when that was a phrase people used unironically?—tried to sell Americans on their superiority to pop-top cans. Bottled beers were priced higher than canned beer, and advertising departments worked to convince drinkers this is because bottles meant higher-quality beer. Can bad. Bottle fancy. Bottle better. Cans keep light out completely. Light exposure is the enemy of fresh beer, because when light hits beer, it causes oxidation and the dreaded “skunked” flavors. Brown bottles are better at keeping light out than green or clear bottles—the green bottles are part of the reason Heineken is notorious for its skunked aroma—but cans are better than all of them. Light can’t penetrate aluminum, giving them a big advantage in terms of freshness. Canning technology has improved in the last decade. Can manufacturers are ditching BPA. Consumers don’t want BPA in their water bottles, and they probably don’t want it in beer cans, either. Previously, BPA was used in the interior coatings of most beer cans, but now companies have come up with BPA-NI (BPA-non-intent) can liners. Many craft beer makers have since switched over, especially those in California where products packaged with BPA must carry a warning. That metallic taste in your beer isn’t coming from cans. 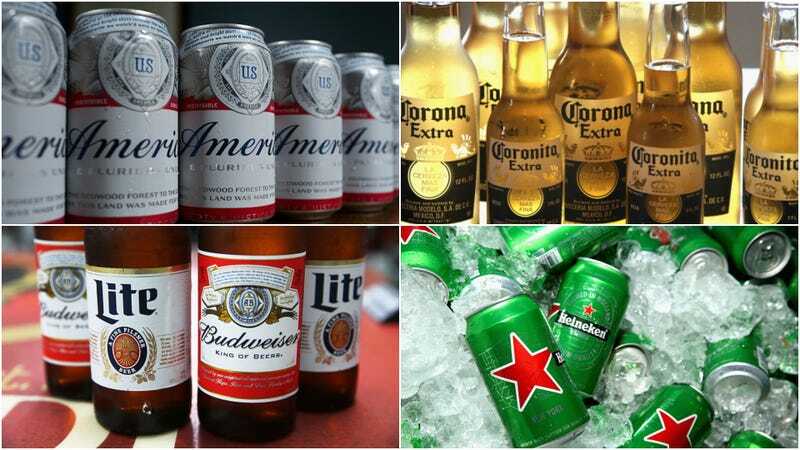 Can critics swear aluminum packaging leaves a metallic taste in beer, but cans are lined (see above) and metallic tastes can be the result of problems during brewing—not packaging. If beer comes into contact with anything less than stainless steel, it can leach metallic flavors during the brewing process, which isn’t much of a problem these days, as most professional breweries use stainless steel. Water chemistry or improperly stored brewing grains could also produce off-flavors one could describe as metallic. Aside from cans’ technical merits, I tend to choose canned beer because they’re just more convenient. They’re lightweight; the six-packs stack easily in my fridge; I can take cans hiking or on the water where I wouldn’t want glass; and they’re easier to recycle through my local recycling program. So, even if you don’t trust my opinion on cans, you can’t argue that they’re not brewer-approved.